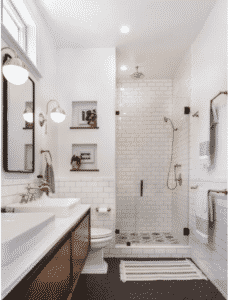 The folks over at Houzz just posted a list of the top bathroom styles trending on their site scroll down to the embedded post to read the full houzz article. 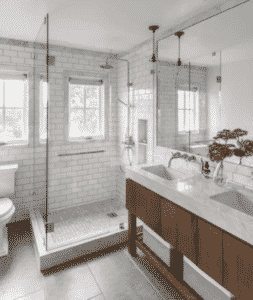 We build bathrooms to last a long time and want the style to last as well. 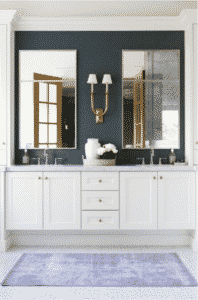 So usually these “top style” posts aren’t usually helpful for us, but this post from Houzz is generated from the most popular ideabooks so it’s more of a reflection of people are asking for than a designers cutting edge style trends. High contrast in design can create really dynamic spaces and make a big statement in an otherwise plain space. 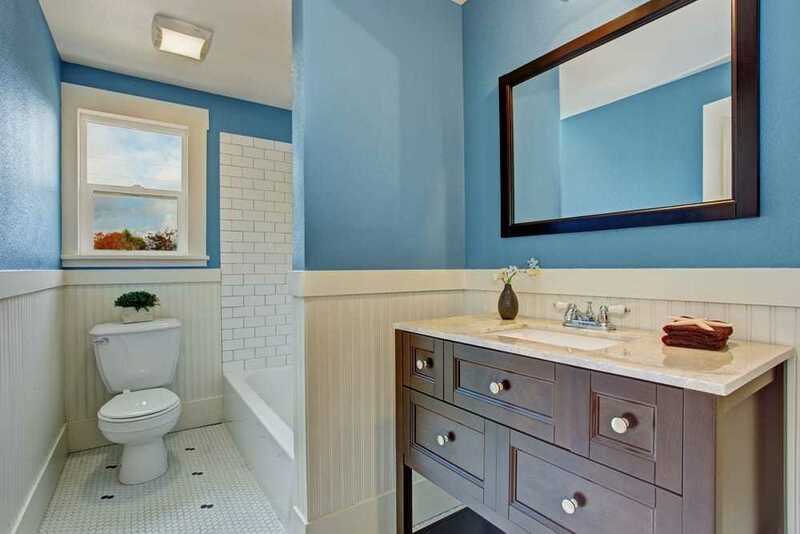 Large portions of white in design shows more dirt and can make keeping the space clean a hassle. 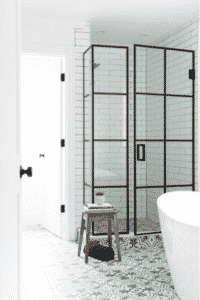 Patterns, especially hexagons, can add a nice texture to tile work. There is a wide variety of size, color, and texture when it comes to hexagon tiles making them very useful for blending into your designs. Like most most trends the more distinct it is the more likely it will go back out of style at some point. 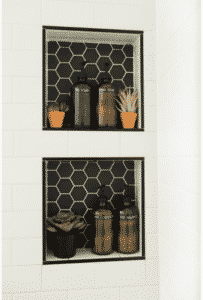 With the explosion of hexagon tile there is a good chance it becoming over used and going out of style. If this happens spaces that were once considered beautiful will quickly turn outdated. The combination of textures and the use of natural looking material adds to the diversity of spaces. Since cool colors are really in right now this stays on trend while adding something more dynamic to the space. Wood look tile gives you all of the beauty of wood flooring without the upkeep problems of wood flooring in a water heavy space. What’s not to like about wood look tile? Treating your home like a spa is important to making the space everything you want. That “zen” feeling makes a space relaxing and enjoyable to be in. 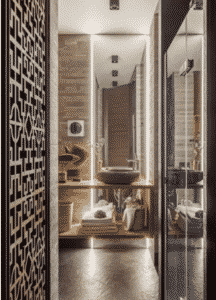 Asian inspired design also often allows for bold use of color and texture making spaces that are unique and beautiful. This look can be very expensive to achieve since the devil is in the details. If the right investment isn’t made the attempt can come across as a cheap knock off. This is also a trend in design that might not last forever. Using wood in the home adds a touch of nature into your home and creates more warmth that has been lacking in more recent trends. The contrast of the two textures and colors creates an inviting and dynamic space. Similar to what we mentioned earlier, spaces that use large amounts of white show dirt easily. Accent walls give designs a chance to experiment and create bold and beautiful effects. The dark contrast highlights the scale of the space and draws the eye to certain walls. The dark accent wall can be difficult to pull off in smaller spaces, since the dark highlights the size of the space it can make a small bathroom feel even smaller. Adding more warmth to the home is always a plus. These accents also create more variety in the space and add contrast without being too bold. Gold finishes were very popular in the past and quickly became outdated. The rise of them again means they might have the same fate meaning in a few years time these design choices won’t seem as trendy and interesting as they will seem garish.